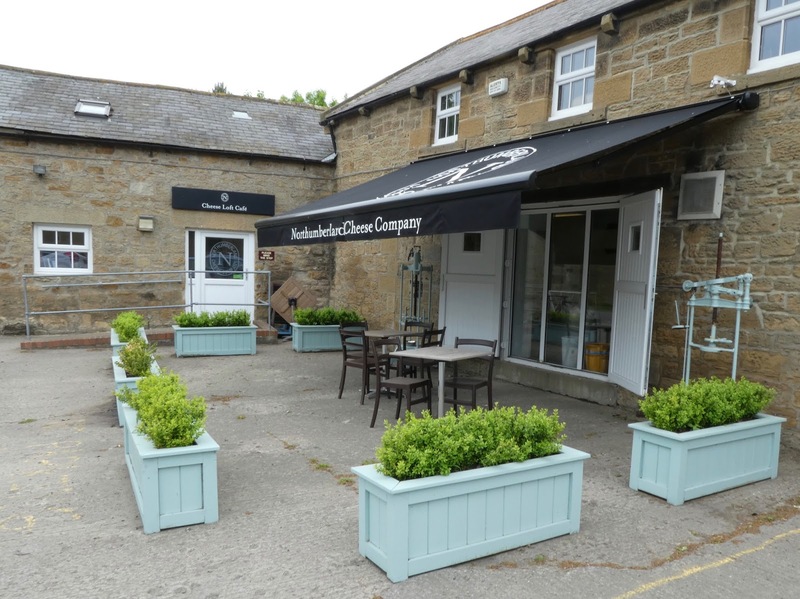 We are huge fans of the Northumberland Cheese Company and have visited their Cheese Loft for lunch or to pick up some cheese on many an occasion. We always make sure we visit their stall if we spot them at a market too. 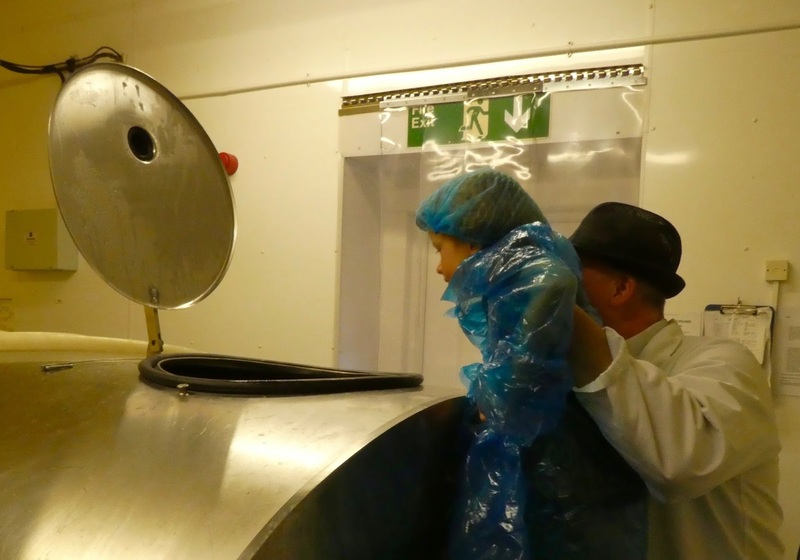 Northumberland Cheese really is something special and this half term we were invited along to take a special behind the scenes look at how their cheese is actually produced with a special family-friendly dairy tour. 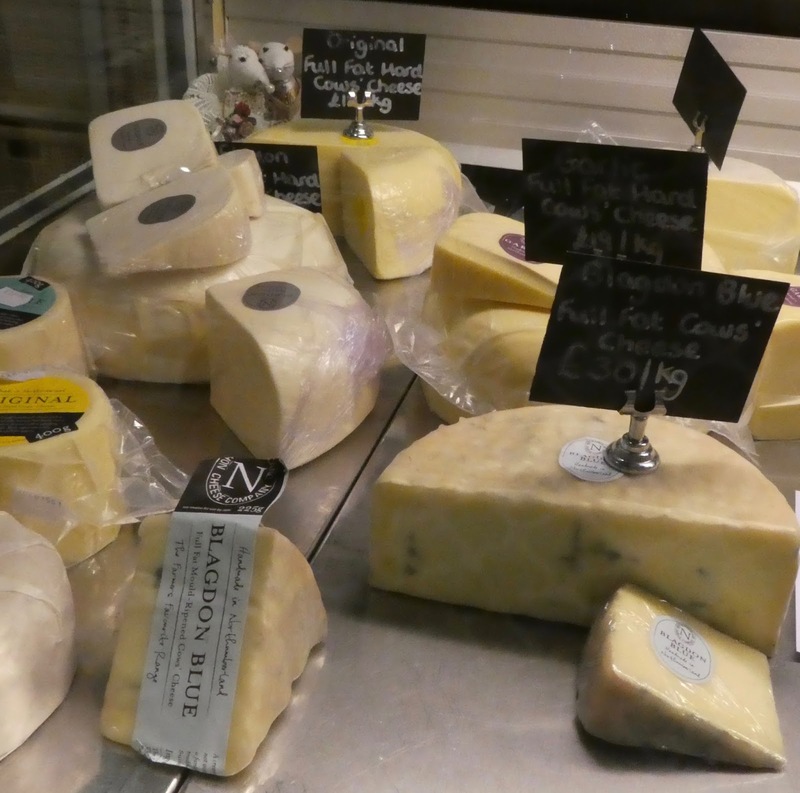 The Northumberland Cheese Company is hidden away on the outskirts of the Blagdon estate but if you follow the brown 'cheese farm' signs from the Blagdon Farm Shop you should find your way. 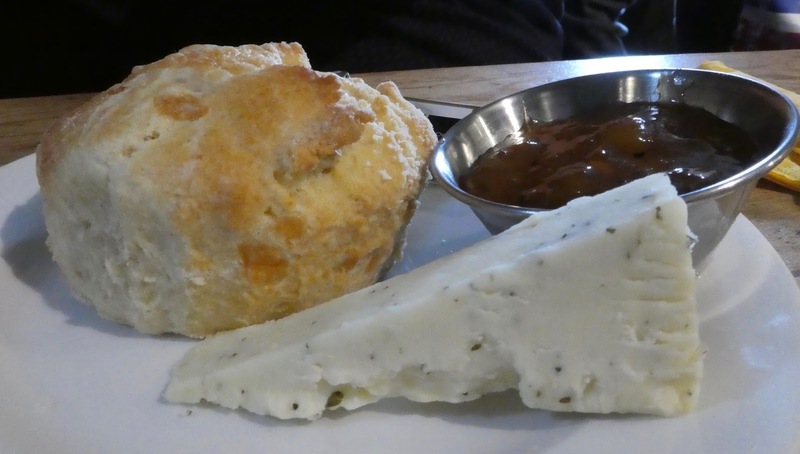 There is ample free parking, an abundant cheese counter with cheese and cheese-related preserves and gifts for sale, a cheese loft tea room serving breakfast, lunch and afternoon tea plus the dairy itself. Dairy tours must be pre-booked - call 01670 789798 or visit their website for details. We met Martin (production manager) who provided us all with overalls, hair nets and safety instructions. 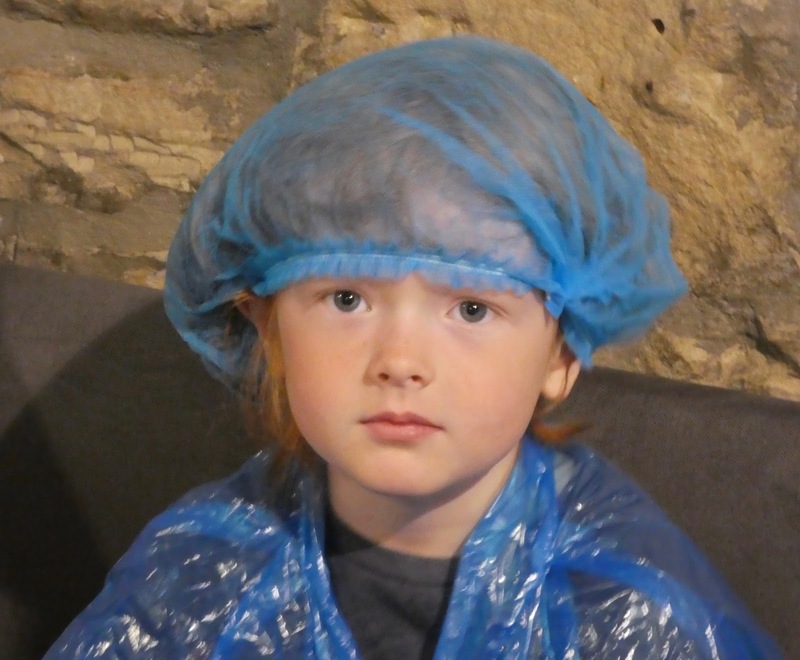 It's important to remember that the dairy is a working factory so if your children aren't able to follow instructions or understand the importance of not running around/messing about then this probably isn't the tour for them. As you can see by their faces, my children took the briefing VERY seriously. 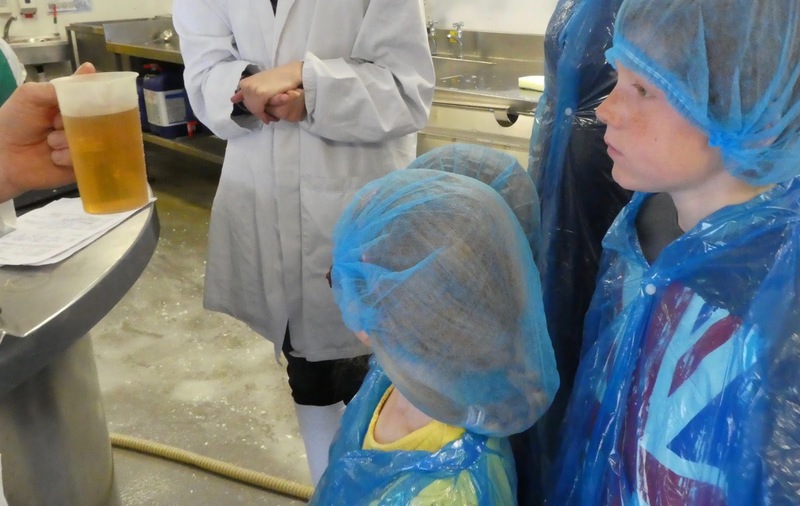 Martin went through every step of the cheese making process with us from showing the kids where the milk (the cows milk is from Blagdon farm) is stored to demonstrating how the curd is cut. 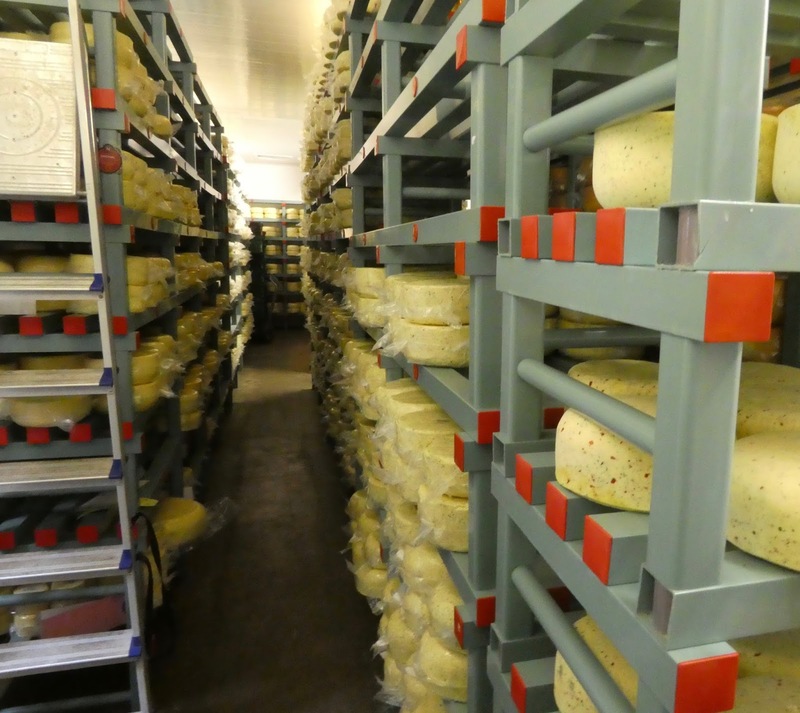 As a grown up, I found it fascinating just how much work goes into producing cheese and how every stage in the process can change how the cheese tastes. It is just a small team that work here but they work hard! 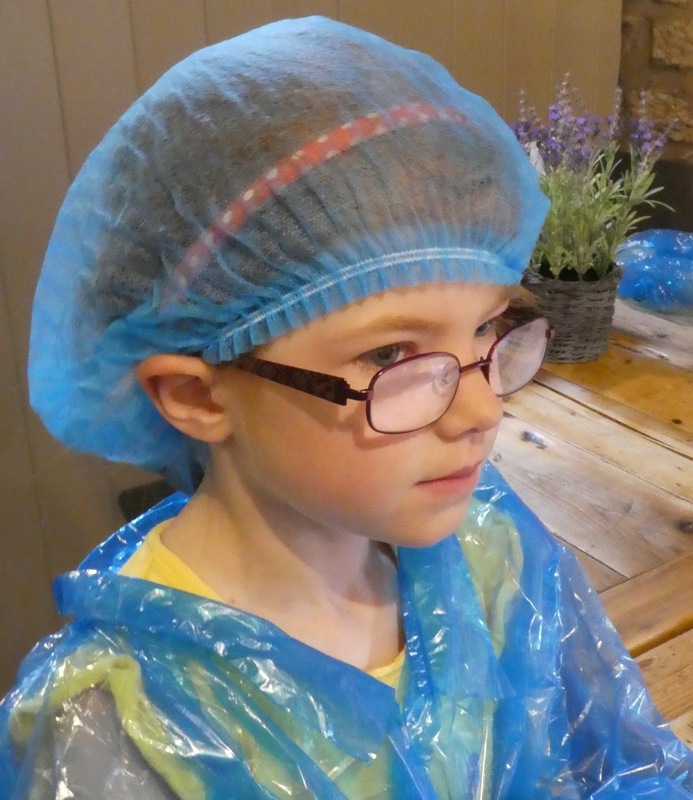 Our children were made to feel welcome and it was very much a 'real life' factory tour. Nothing was sugar coated (which is a good thing I think). There were plenty of opportunities for us to ask questions too. 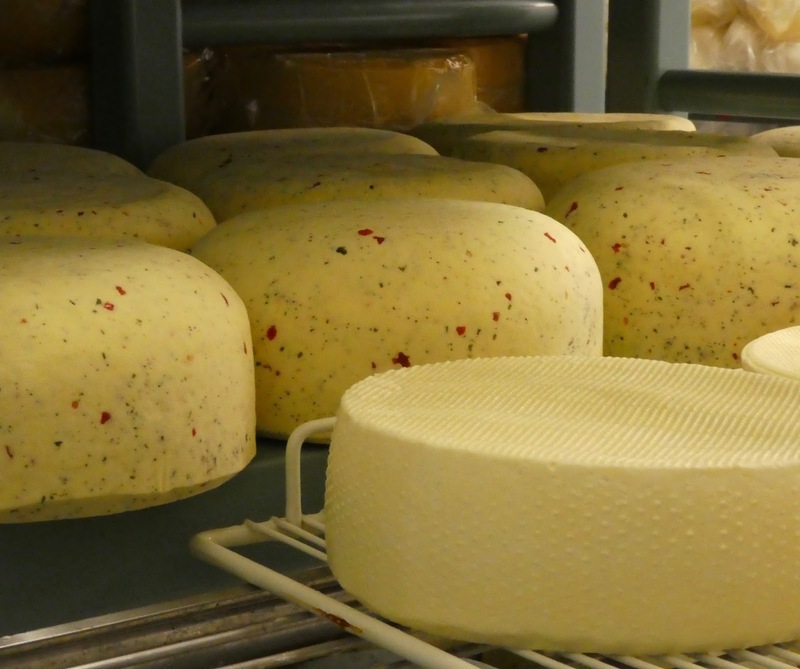 We were able to try some of the cheese in it's very raw form before it had been added to brine or given any flavour. I was very surprised when the kids all agreed to try some too! 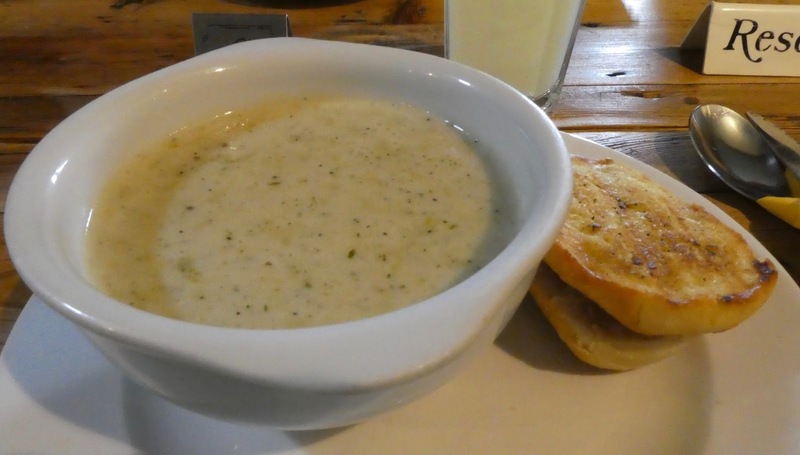 We all agreed that it tasted very bland indeed. We found the salt brine baths to be fascinating - the same core liquid has been used for 30 years and it is part of the key to providing the Northumberland cheese character. 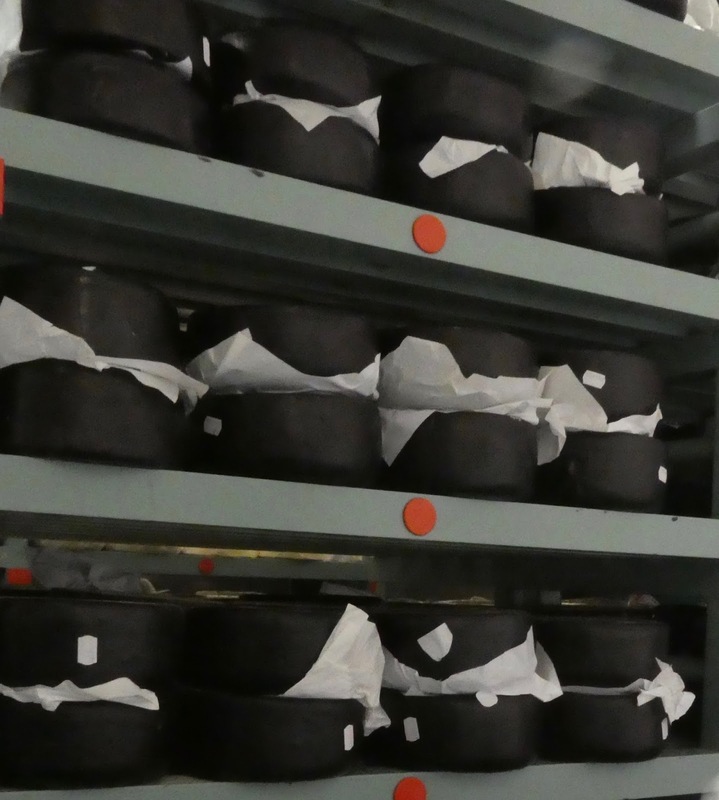 This is where the cheese is stored to mature - it is a proper maturing process, no chemicals are added. 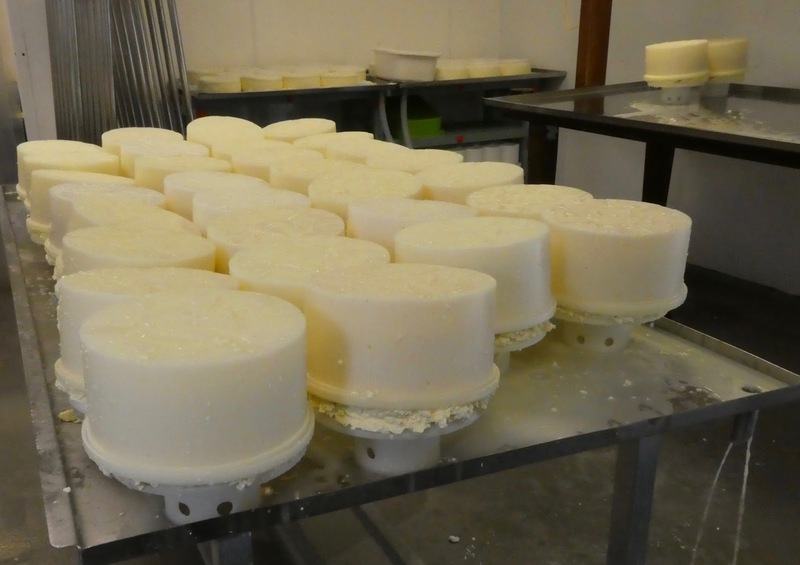 Every task is completed by hand with the Northumberland Cheese Company and every week it is some poor soul's job to turn every wheel of cheese! This ensures that they mature and settle at an even rate. 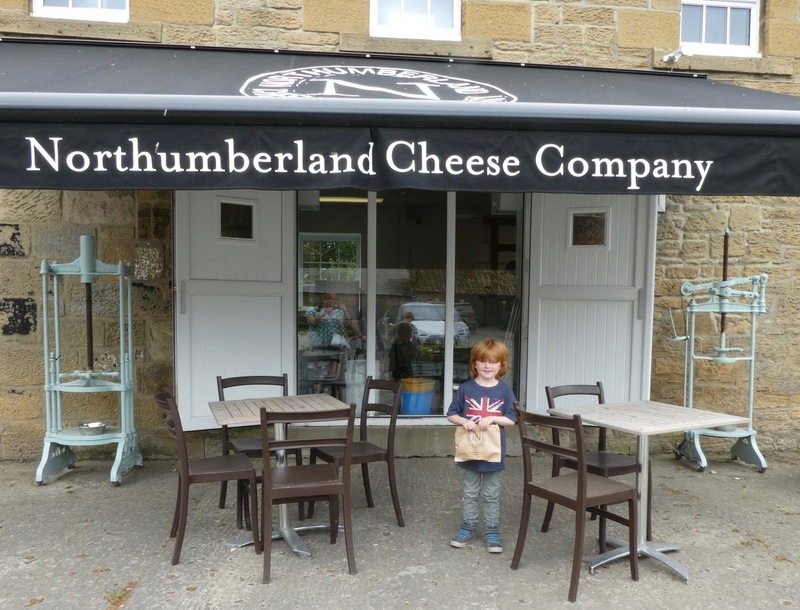 Only the best will do for Northumberland Cheese customers. Next we were passed onto a team leader who went through the next stages of the process with us. Now I imagined in my head that there would be some sort of machine that cut the cheese into wedges - nope, again it was all done by hand and the kids watched and listened as we were informed how cheese is graded and every batch has to pass a strict taste test/grading process (I am very jealous of whoever has the job of chief cheese-taster). We were given a mini-cheese tasting talk and watched a demonstration on how to test cheese before trying it ourselves. 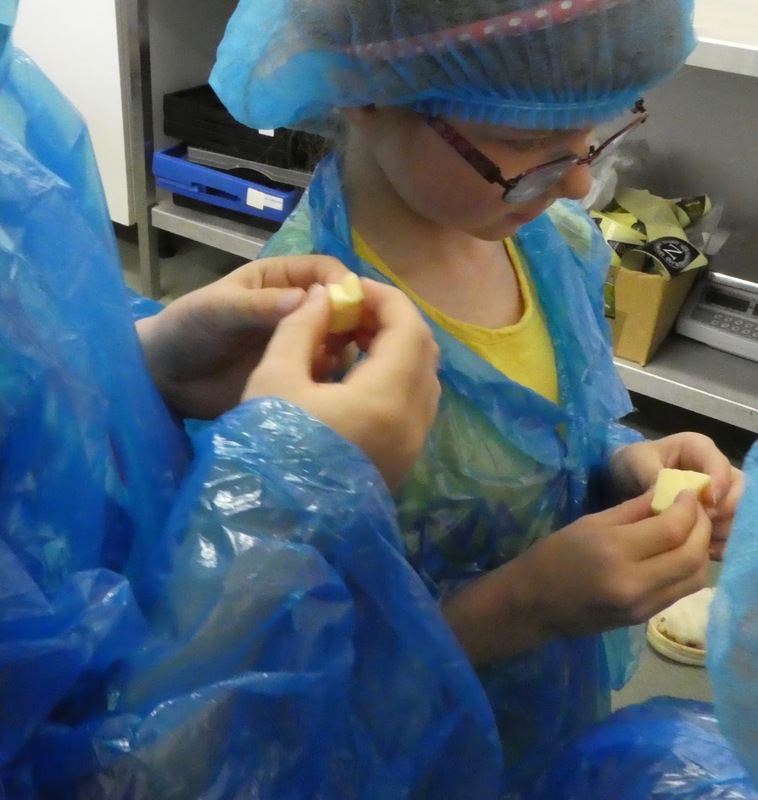 I was very shocked again when the kids tried every type of cheese presented to them - their interest had definitely been sparked and I loved that they were encouraged to try something new. 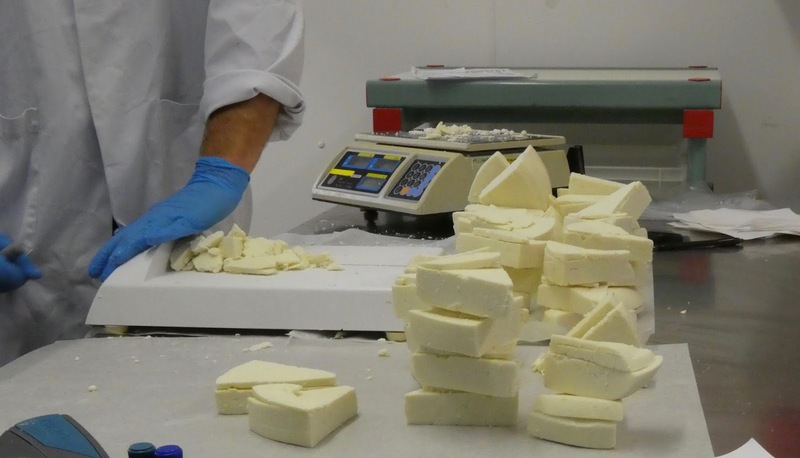 To test cheese properly, first you need to take a sample that spans the entire width of the cheese. Take a look at it and check for colour, consistancy and air bubbles. Then you need to take a small piece and roll it between your fingers to help bring it up to room temperature. 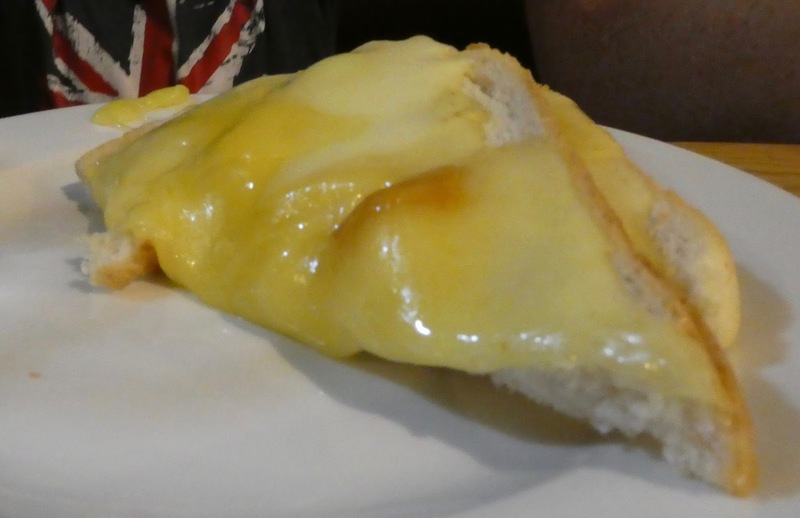 Next up, smell the cheese before finally putting it inside your mouth and tasting the flavours. Cheese tasting was definitely a tour highlight! If you take a tour you are provided with a 10% off voucher to use on purchases made on that day. 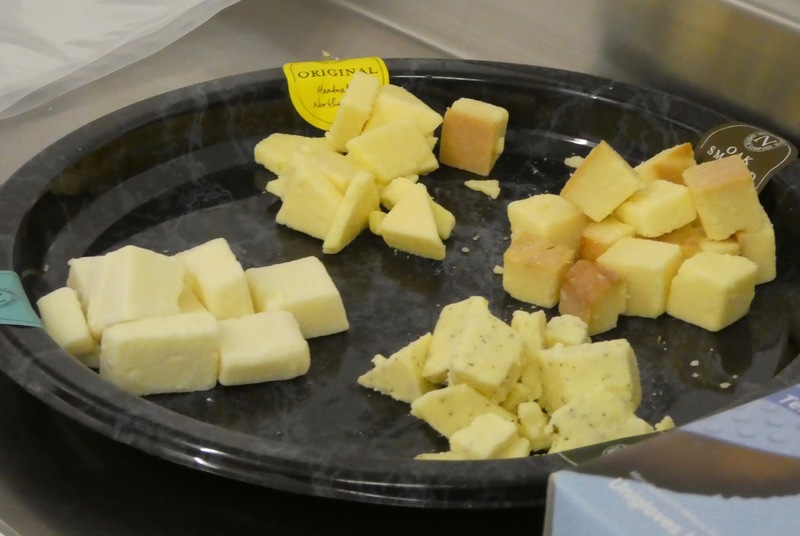 Of course it would be rude of us not too and after tasting some of the cheese on offer, we were all very keen to try more. 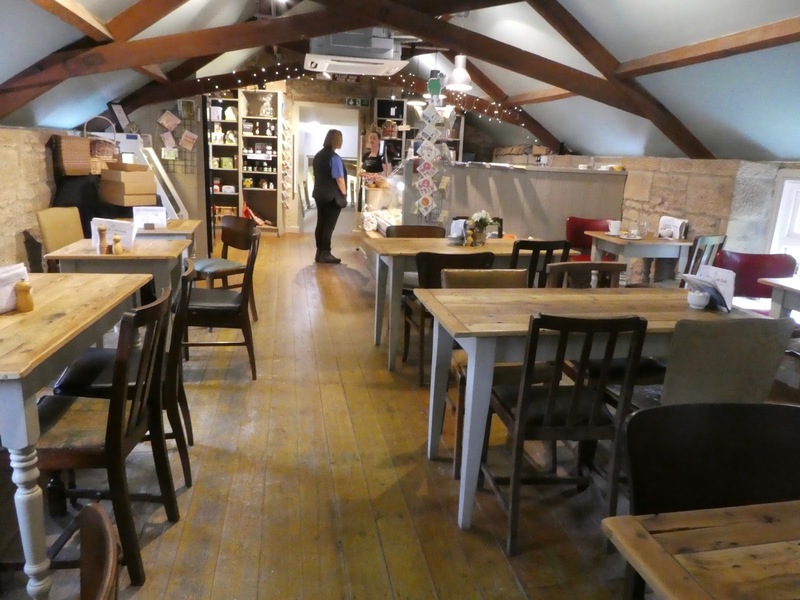 The cheese loft is a lovely space and the staff were super friendly. Jack surprised us all and asked if he could buy some more nettle cheese to take home - who'd have thought it! I bought some original to (about 150g each). We found the prices to be incredibly reasonable - lunch for the 5 of us, plus drinks and two wedges of cheese to take home was only £25 with our 10% discount - mega bargain! If your children are inquisitive, ask questions and generally enjoy learning about how things work, I think they'll enjoy the tour. Tours last around 1 hour - if your children are not able to listen to someone talk for this length of time, the tour might not be for them. Protective clothing is provided but you will need to tie hair back and remove all jewellery. Remember you are entering a factory environment and need to be responsible for your children - there are a few trip hazards to look out for and the floor is wet/slippy in parts. We all thoroughly enjoyed the tour and would recommend. I always like doing something that is educational and/or involves food so it was pretty much always going to be a winner for us I think. 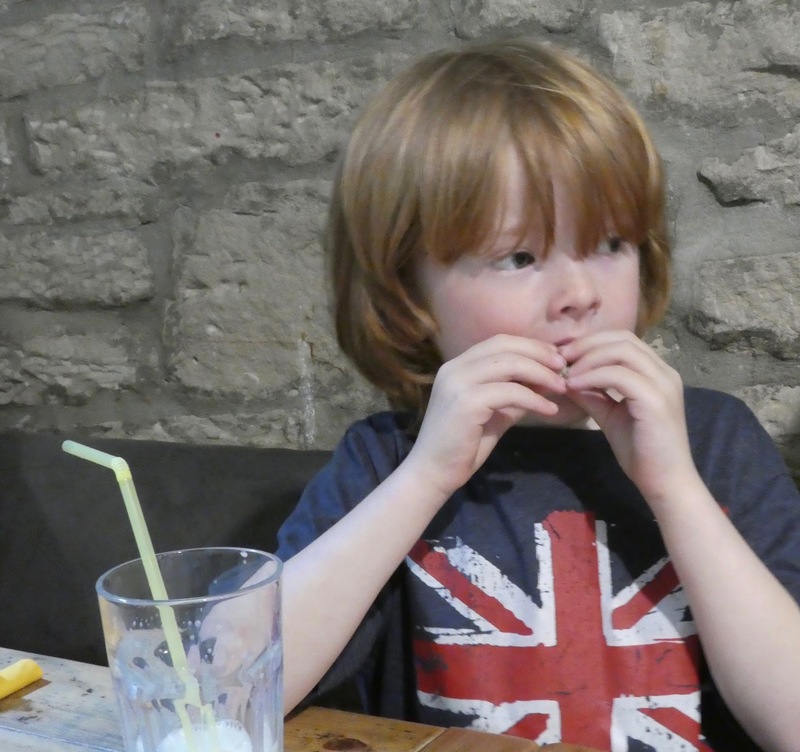 I wasn't sure my 5 year old would enjoy it but to be honest he loved it and has been telling everyone who will listen about his special nettle cheese and how it is made! Disclosure - we received a complimentary family dairy tour and asked to provide our honest feedback. We paid for our own lunch/cheese. Wow! The tour looks so good, really interesting. In Norwich Nestle used to have a huge chocolate factory and we went on a tour with school and I remember it so clearly all these years later. I was fascinated by getting to see how everything was made! 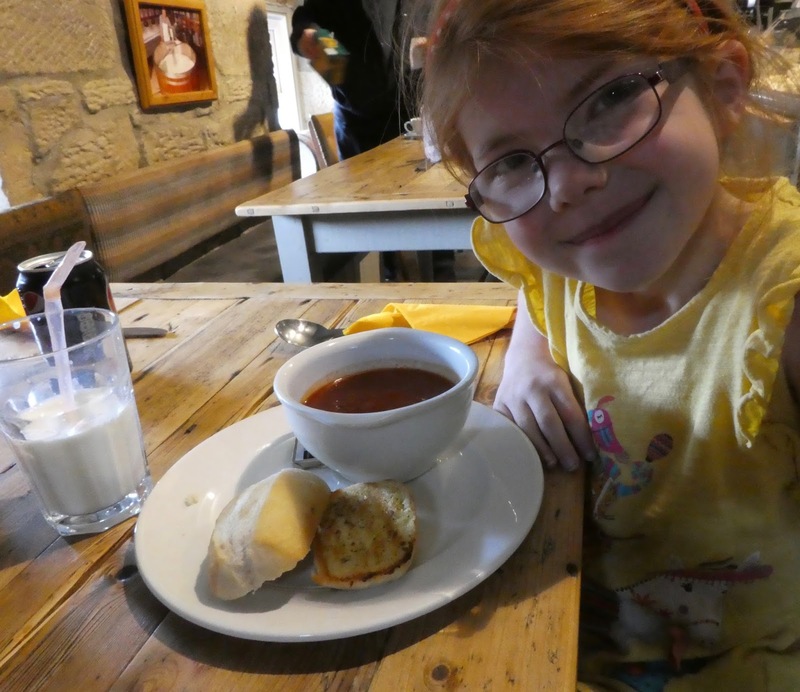 The Cheese Loft has been on my foodie list for ages, can't wait to visit! This would be my dream tour, I absolutely love cheese, will bear this in mind to take the niece and nephew when they're a little older! Gosh how fun does that look, I'm obsessed with cheese and the kids would love it too! That may have been my favourite part!